Do you dream of homeownership, but the thought of a down payment makes this dream unattainable? Don’t give up just yet, you have options. Check out these four mortgage loan programs that may make your homeownership dream a reality. FHA loans allow you to get into a home with a down payment as little as 3.5 percent. In addition, this loan is a great option for someone who’s working on their credit and gives options for a lower credit score qualification. 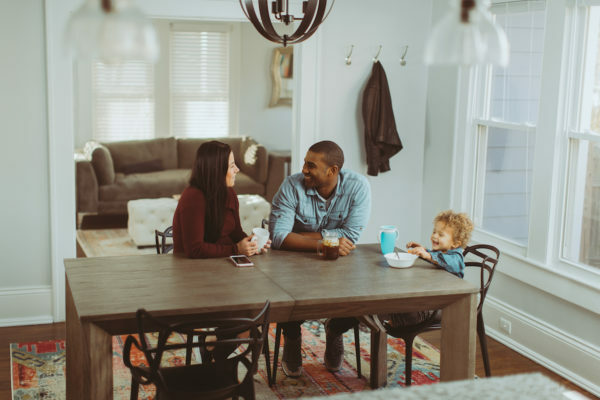 However, the key phrase here is “for the life of the loan.” Qualified borrowers may be able to refinance into a conventional loan once they reach 20% equity, which can get rid of your mortgage insurance. The HomeReady program is offered to low-to-moderate-income borrowers by Fannie Mae to purchase or refinance. It requires a 3 percent down payment and private mortgage insurance. You can terminate your private mortgage insurance once you reach 20 percent equity. You can use gifts from eligible family members, grants, etc. toward the low down payment and closing cost funds. Homeownership counseling is required for this program. This is a great option for a low down payment if you qualify! Home Possible Advantage is a purchase and refinance mortgage program offered by Freddie Mac to borrowers who do not own any other residential property. A down payment of at least 3 percent is required. Mortgage insurance is required but can be canceled once sufficient equity is established. For most borrowers, income may not exceed 100 percent of the median income for the area. Borrowers buying a home in an underserved area are exempt from the income limit. The loan must be for a one-unit primary residence, and not a manufactured home. Homebuyer education is required. USDA loans are mortgages made by lenders and guaranteed by the U.S. Department of Agriculture. They are available to moderate- and low-income borrowers to build, rehabilitate, improve or relocate a primary residence in eligible rural and suburban areas. USDA loans are available with a no down payment options for qualifying borrowers. USDA loan applicant’s pay an upfront fee of 1 percent of the loan amount, and this fee can be added to the loan balance. A VA loan is a mortgage made by a lender and backed by the U.S. Department of Veterans Affairs. Nation’s veterans, active duty service members, and their surviving spouses are eligible for a VA loan that has a no down payment option. In addition, instead of mortgage insurance, there’s a one-time VA funding fee. This can either be paid at closing or financed into the loan. However, some applicant’s can even be exempt from this funding fee. We get that buying a house can be intimidating. However, with these loan programs, you can make achievable goals in what you can afford for a down payment. Want to explore one of these options or get more information? Find your closest Movement Mortgage Loan Officer here. For more information on FHA loans, head to this blog post. For more information on Fannie Mae HomeReady loans, head to this blog post.